By now, you know that I’m not pregnant. I was so heartbroken and incredibly depressed when I heard the news. I felt like my body had betrayed me, like I had been lied to. Sure, I have something growing inside me but they don’t throw baby showers for these occasions… no little pink bows or baby blue socks. What’s worse, my affliction could very well prevent me from having kids if it so chooses to. Yeah, I’m not having a baby. I’m having fibroids. Do you know what fibroids are? They are non-cancerous tumors that grow in a woman’s uterus and are a common reason for having hysterectomies in this country. The doctor told me my diagnosis matter-of-factly, as if I was supposed to know what fibroids were. I asked if they were the reason I was having nausea and headaches but she couldn’t tell me. She told me to follow up with a gynecologist within a few weeks, but that I really shouldn’t wait too long. I had no idea how serious my case was, how many fibroids I had, or how big they were. and it wasn’t “pregnant.” I couldn’t stop crying. I had lost my miracle, this beautiful child that I thought God was bringing me. The answer to my prayers. My husband didn’t understand, couldn’t understand why I was so devastated. He felt like my response was only normal for someone that had suffered a miscarriage. For me, it was a slammed door in the face to go with the childlike faith and courage I had passionately invested, believing that God could and would bring such a miracle to my life. I wasn’t just a believer – I was working for Him, daily trying to bring glory to Him by talking to others about my Savior. I thought this child was my reward. The reward is in knowing Jesus. I just couldn’t focus on that at the moment. 22 fibroids, with the largest measuring 7.24 cm. It was sitting right at my midline. Stay tuned for “Miracle in the Making – Part 3” as a follow-up to God’s plan for Kristeen’s health. For more information about Kristeen Nicole Gillooly, her music and her ministry, please visit http://www.kngmusicministry.com. You can also visit her artist website at http://www.kristeennicolegillooly.com. I didn’t feel the cold while singing outside in 45 degree weather during my last performance. Jesus kept me warm! It seems I have been fighting a silent battle for awhile now. One look at my Twitter account in the last month and a half, and you will see several requests for prayer. I feel like I am finally at a point where I can talk about my struggle. It started as nausea and an upset stomach that started the day after my single was released. My head was hurting so bad that I was lightheaded and dizzy. Over the course of several days, these symptoms continued and new ones like belching and a strong sense of smell left me feeling bewildered, weak, and overwhelmed at the same time. What was going on with my body? I thought I was pregnant. I hoped I was pregnant. You should know that my husband is fixed. After three kids with his ex, he thought it a good time to stop having more. I’ve never had children of my own and I want nothing more than to have a child with Nick. We don’t have the money to have it reversed so let’s just say that I’ve put my faith in a miracle. I took my first pregnancy test. Negative. And over the course of the following two weeks, I would take three more, devastated each time but still holding on to hope. Maybe I didn’t have enough HCT in my system yet? I was so sure that I was pregnant that I had started praying for my baby. I prayed that I would carry a healthy baby full-term, that God would keep me in this world to see them grow up in the love and faith I planned on raising them with. I had joy in my heart over this miracle growing inside me but also had to contend with the doubt and reality of every negative test. Hearing my husband tell me I looked pregnant reassured me throughout the process of disappointment. These were the most trying two weeks of my life, struggling to hold onto faith and God’s promises while calling out to God for truth. Once I started having pelvic pain, I panicked. I was afraid that I might have an ectopic pregnancy and so I had my husband bring me to an urgent care clinic. I knew they would need to do an ultrasound and I was scared. All during the procedure, my husband wore a frown as he watched the screen I couldn’t see, the one the technician was using to key different measurements. Afterwards, I tried everything to stay patient. We had been there for hours, waiting to find out the truth. And when the truth finally came, I was heartbroken. Stay tuned for “Miracle in the Making – Part Two” to find out the affliction in Kristeen’s life and her struggle to find the healing promised to her in God’s word. 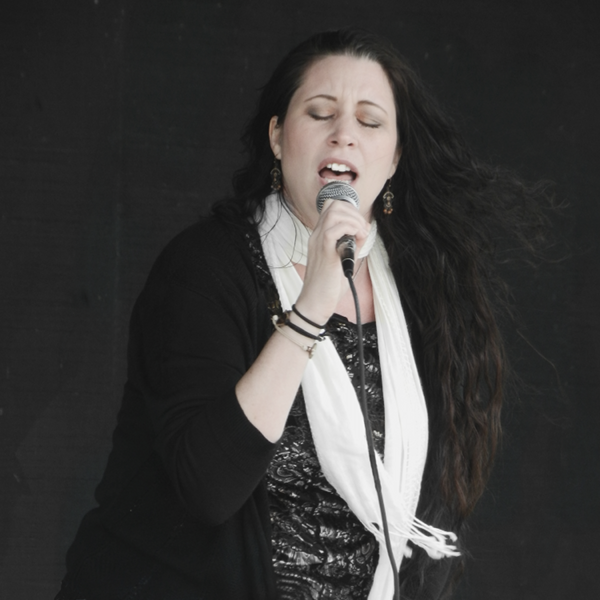 For more information about Kristeen Nicole Gillooly, her music and her ministry, please visit http://www.kngmusicministry.com. You can also visit her artist website at http://www.kristeennicolegillooly.com.